It was a cloudy morning on April 11th 1961, when a gaunt, thin haired man in a suit and dark glasses entered the shielded glass booth at “Beit HaAm” auditorium in Jerusalem. The audience was rustling. The man sat down with a slight twitch in the corner of his lips. Television cameras focused on his hands – gentle and slim, the very same hands that 75 five years ago signed the most infamous document in human history – the man was Adolf Eichmann. This week 27 years ago, Gideon Hausner, the main prosecutor in Eichmann’s trial, who delivered one of the most iconic speeches in the history of the Jewish people and the state of Israel, passed away. 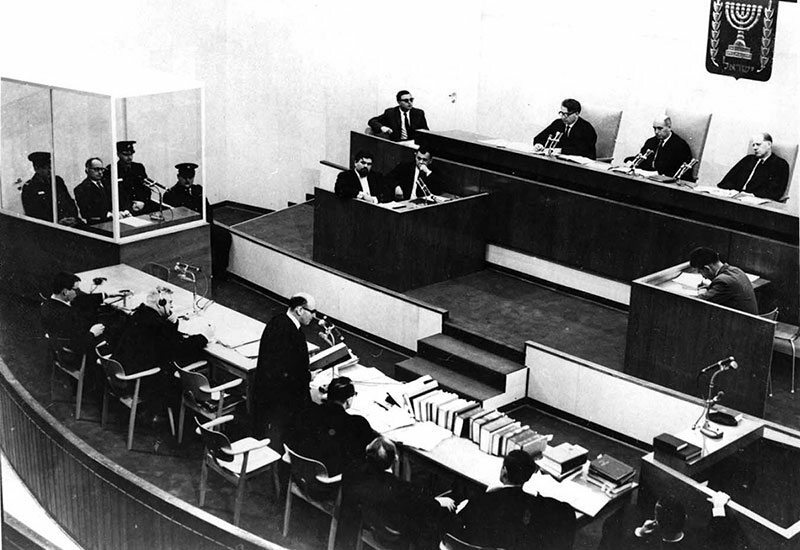 The first week of Eichmann’s trial, planner of the Final Solution to the Jewish problem, was dedicated to technical issues, such as the validity of Eichmann’s capture and arrest procedures, the legal authority of the state of Israel to trial him and the like. From every radio set in each and every house Hausner’s unforgettable voice could be heard, with his unique accent. He was the Attorney General of Israel and the main prosecutor in Eichmann’s trial. Thousands of people gathered at the television screens set outside the Ratisbonne Monastery in Rehavia, Jerusalem, watching the events inside the small courtroom. Two of them were two young schoolchildren, Tamar and Amos, who cut school to watch their father, Gideon, entering history. During that first week Hausner was still working on his opening speech. 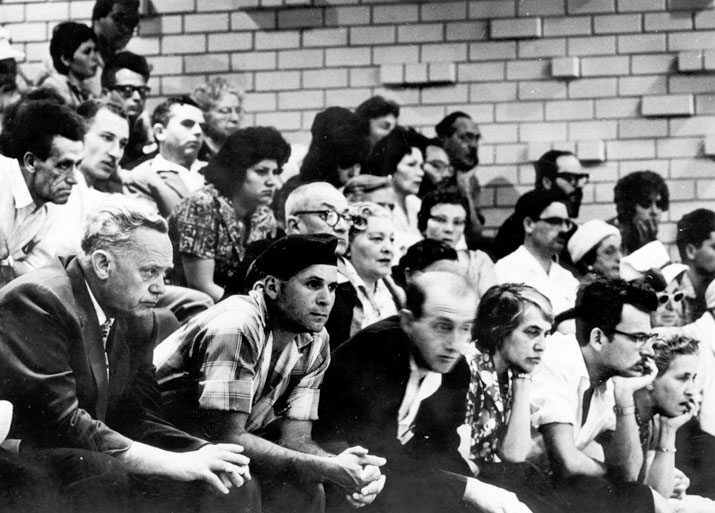 The first draft was sent to the Prime Minister, David Ben Gurion, who made his comments and suggestions, which Hausner read carefully, though determined to make the final decisions by himself. The night before the great speech the children, Amos and Tamar were eavesdropping at their parents’ bedroom door. Hausner was still endeavoring for the completion of his speech. Every once in a while he woke up his wife, Yehudit, and asked for her opinion. Then he returned to his papers, rewriting and correcting it again and again (attorney Tami Rave, Hausner’s daughter told about it years later in an interview). 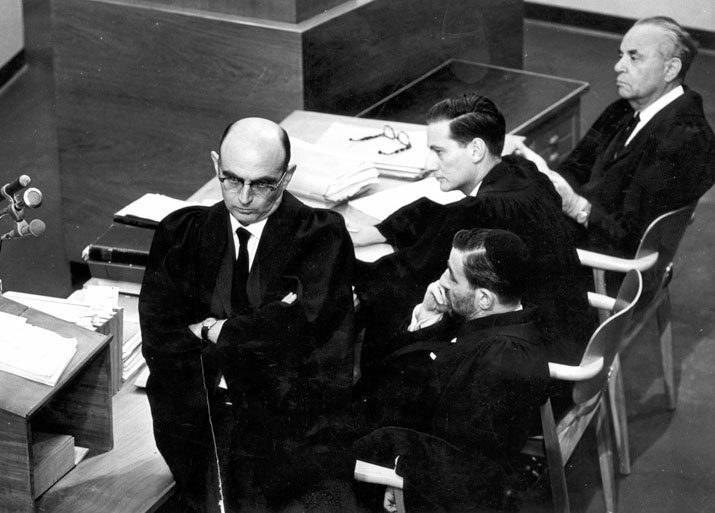 Then, at 1am, Yehudit heard the final version: “When I stand before you here, Judges of Israel, to lead the Prosecution of Adolf Eichmann, I am not standing alone. With me are six million accusers. But they cannot rise to their feet and point an accusing finger towards him who sits in the dock and cry: “I accuse.” For their ashes are piled up on the hills of Auschwitz and the fields of Treblinka, and are strewn in the forests of Poland. Their graves are scattered throughout the length and breadth of Europe. Their blood cries out, but their voice is not heard. Therefore I will be their spokesman and in their name I will unfold the awesome indictment.” Yehudit gave her final approval. Amos and Tamar snuck back to bed and the house was silent. Hausner carried his speech for two days. It was broadcast live over the radio. Hausner’s historical, powerful words caused thousands of holocaust survivors to recall the horrors they have overcome, after years of repressing their loss, pain and hunger. The speech also illustrated to the younger generation the scale of the holocaust atrocities. The next day, when Hausner was done with his opening address, the people of Israel – despite their great sorrow and pain – went out celebrating the 13th Independence Day.